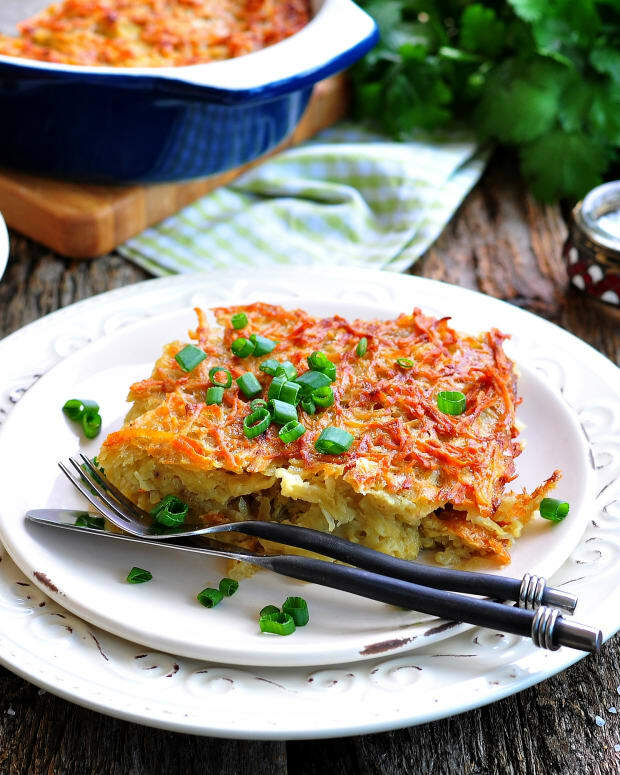 Essentially a potato kugel with meat, Yapchik is a true Jewish comfort food. Shredded potato, some onion, flanken, salt and pepper...sounds simple enough? To prepare, yes, pretty simple. Coming up with the ultimate, fool-proof yapchik? Not so much. It took many tries and taste-tests to get this right. My husband has been making yapchik almost every week since February. 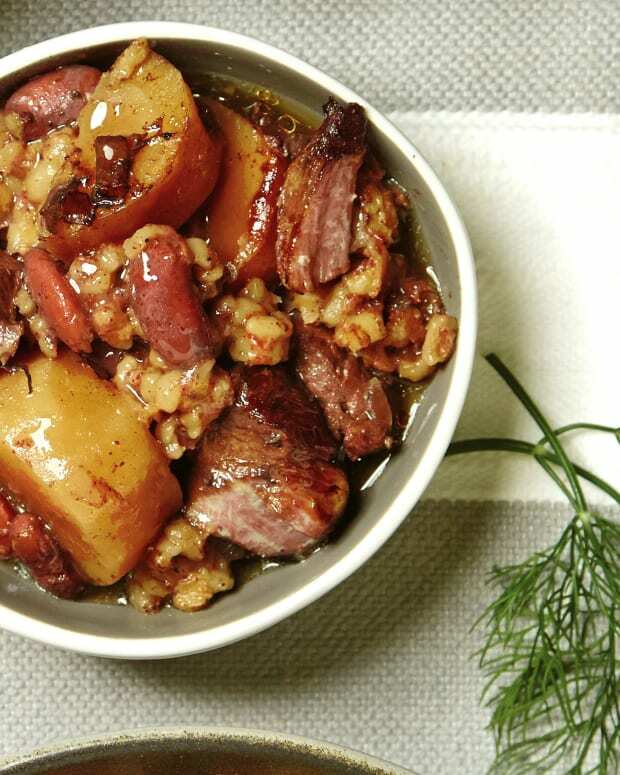 He has shared samples with family and friends and every person’s feedback has been considered when tweaking this recipe to its current savory perfection. 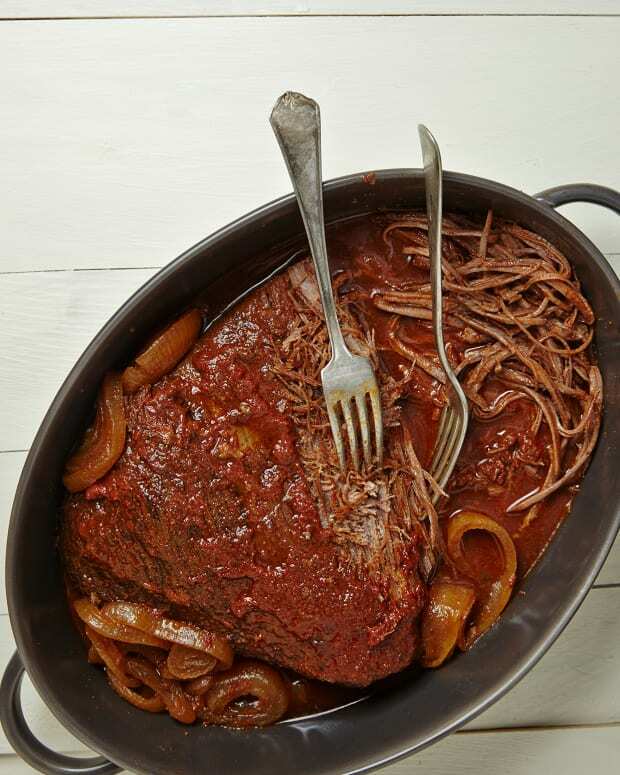 Oven or crockpot? How many potatoes? How many onions? Which meat works best? Cooked over steaming hot water or alone? All these questions were thoroughly researched and the final result is the most perfect yapchik recipe you will find, guaranteed. 1. 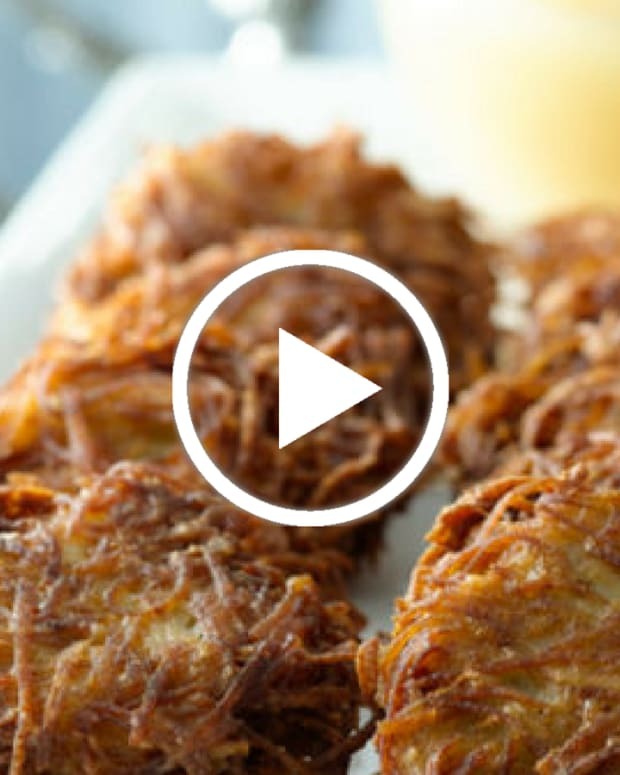 Simply omit meat for an incredible overnight potato kugel. 2. 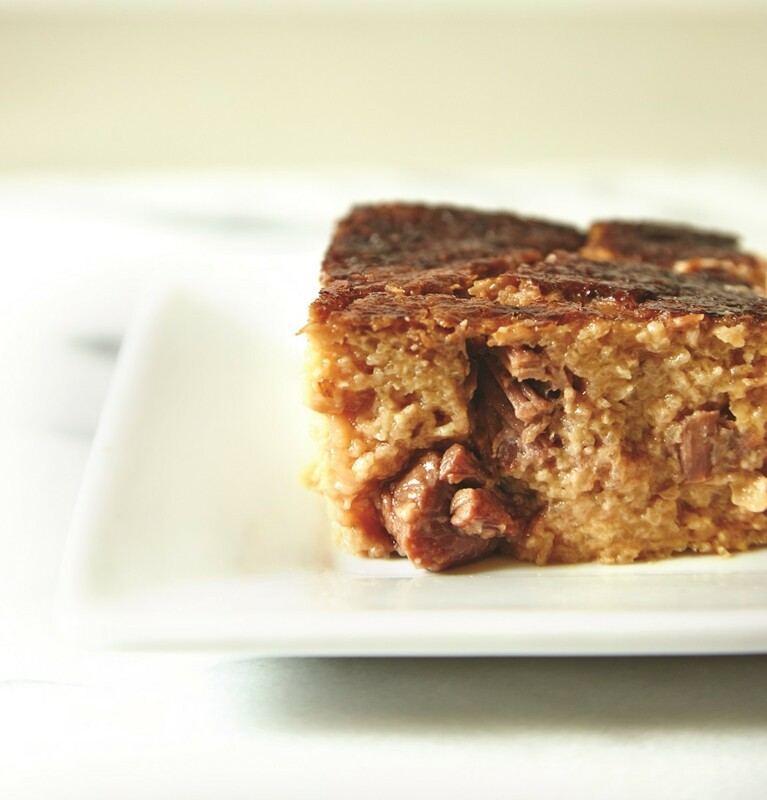 Cooking this kugel/cholent overnight (8 hours+) achieves a deep brown color and flavor (similar to cholent). If you prefer a lighter color and flavor, simply remove from oven when it is time to lower the temperature. 3. In place of the flanken, you can use beef cheek or Jack’s Gourmet facon or pastrami, chopped, for a smokier flavor. When using these other options only use 1 tablespoon of salt as these meats are already salty. 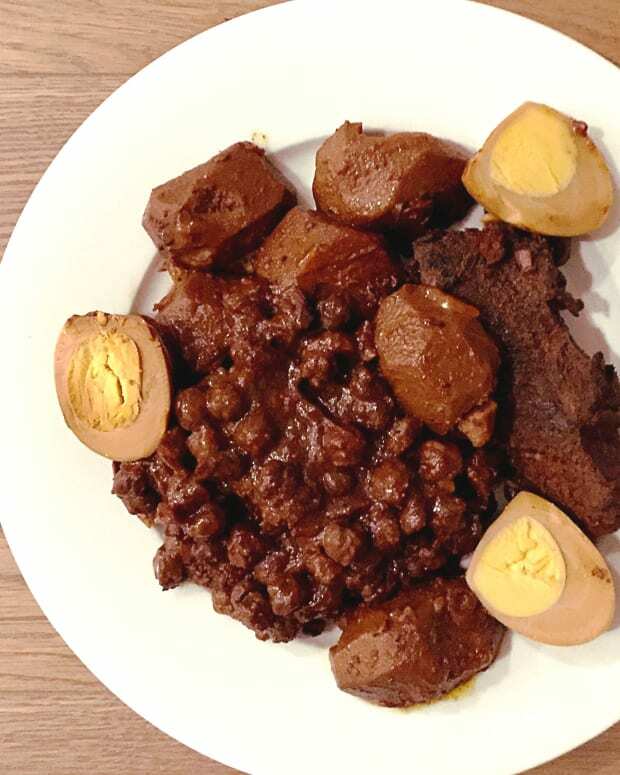 4.Wrap in aluminum foil and place in cholent. 5. In place of the oil, use schmaltz or duck fat for a truly gourmet kugel experience. 6. Pour in a 9x13 in. baking pan. 9. Cover baking pan well with 2 layers of silver foil. You want to seal in all moisture. 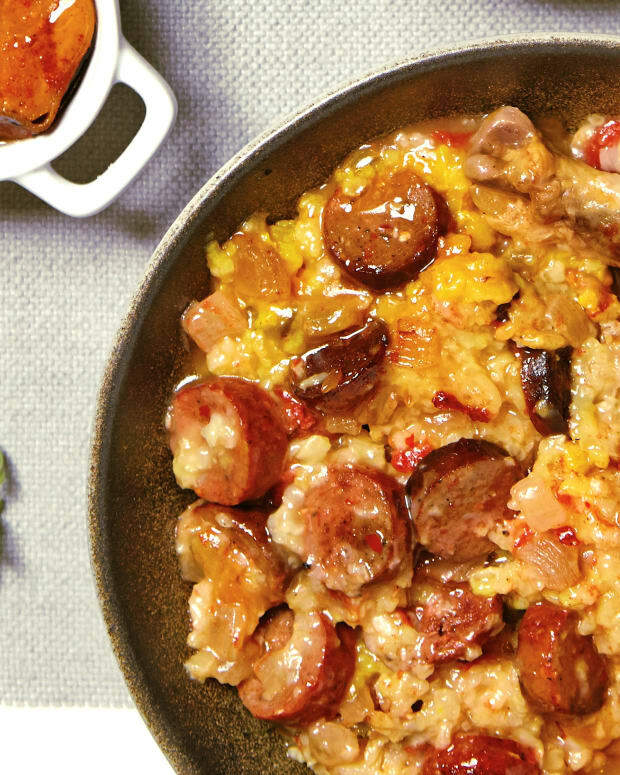 Shlomo Klein Contributed to this recipe.